Do you have a great product or service, but no one seems to be buying? 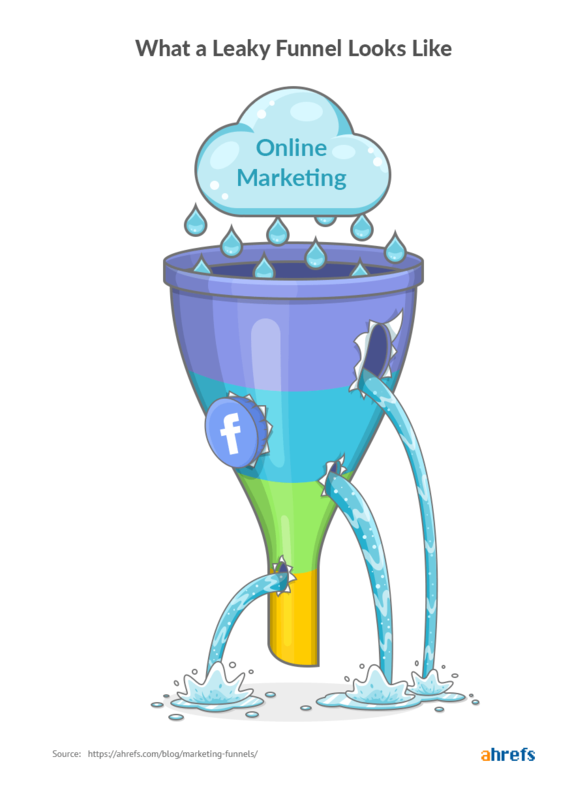 You need a marketing funnel. At Ahrefs, we’ve grown our 8‐figure ARR by +65% three years in a row. We’re a B2B company that makes SEO tools. Yet, we’ve achieved this with no sales staff. No cold calls. And no growth hacks. Many of our customers have come to us thanks to our simple yet effective marketing funnel—a system created to drive traffic, convert people into customers and make them fall in love with our brand. In this post, I’ll show you how you can set up your own marketing funnel to get more business without resorting to pushy sales tactics. Before that, let’s see what a marketing funnel looks like. 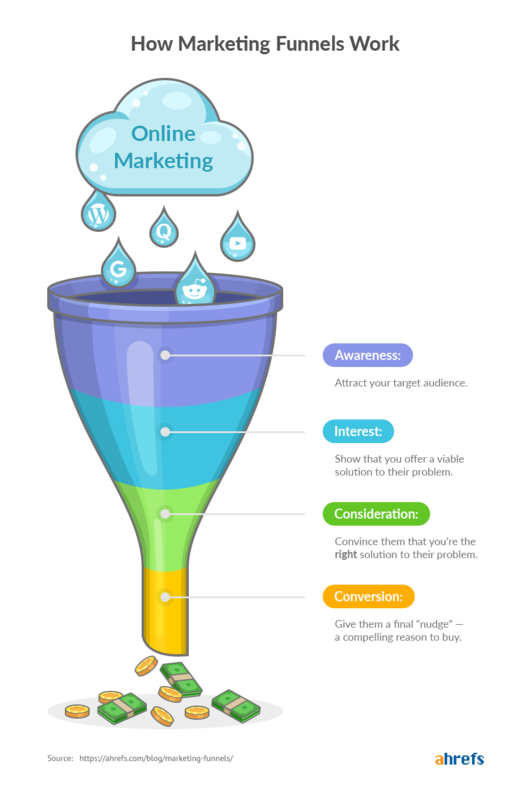 If you’re wondering why it’s funnel‐shaped, it’s because some people tend to “drop out” at each stage of the funnel. Imagine you own an ecommerce store that sells headspin beanies. NOTE: These are padded beanies for breakdancers who do headspins. One hundred people are losing their hair from doing headspins without a beanie. So, they turn to Google to look for a solution to their problem. Because you are ranking on Google for “headspin beanie,” 40 of them click through to your site. On your website, you offer a 20% discount in return for their email address. Life gets in the way, so only ten people use the coupon and purchase a beanie from your store. Since people drop off at each stage, the top part (Awareness) is always larger than the bottom part (Conversion). You can see the numbers decrease: 100 -> 40 -> 20 -> 10. This results in a funnel shape. Marketing funnels often seem complicated to beginners because they jump in at the deep end. They see a diagram of a funnel with lots of arrows and if/else conditions and they get overwhelmed trying to figure it out. As you can see, this is way too complicated for marketing funnel newbies. We’ll avoid this. Instead, we’ll discuss a simple version. Now, let’s learn how you can build your own funnel. If you don’t have an excellent product/service or a market of people who will buy it, a marketing funnel cannot save your business. It’s better to put your focus and resources into finding a product/market fit. The first stage of the funnel is awareness. This is where people who have a certain problem get to know about your product, company or brand (because you are somehow related to that problem). They watch one of your videos on YouTube. Whichever it is, they now know you exist. In fact, if the problem frustrates them strongly enough, a few (likely <1%) may even become customers or clients right away. But it’s okay. Since they’re now familiar with you, they have a mental note that your brand is connected to the problem they have. And this is where marketers come in. Your job is to talk more about the problem. Raise awareness of the issue. Persuade these people that it’s important, and that it should be tackled and resolved. Educate them on how to solve it. Connect the problem with your brand, product or service. In the process, you have to let as many people as possible know about you. To do that, you have to cast a wide net. If possible, you should be present across all possible marketing channels. If not, at the very least, you should be present in the main channels where your customers hang out. You have a question. Where do you go to look for your answer? Your customers are the same. If they have a problem, they’ll Google it. If they need an answer, they’ll Google it. The stats prove it too. Google processes around 3.5 billion searches a day. It dominates over 90% of the search engine market. At Ahrefs, this is how most of our customers discover us. We publish content on the Ahrefs blog. These posts rank well in Google. People search for relevant terms, find our content and read it. They make a mental connection that we’re related to digital marketing. And if they’re looking for digital marketing‐related content in the future, they’ll likely think of us, thanks to the mere exposure effect. What is our process for this? We dive into the SEO metrics to make sure every post we write has search traffic potential. We then follow our 7‐step copywriting formula to make sure every post ranks as well as it can. For you, the process may be different. But you’ll still need keyword research. So, here’s a keyword research framework you can follow that is highly adjustable to your needs, resources, and industry. You don’t necessarily need Ahrefs to do what we do (even though that’s what we use.) 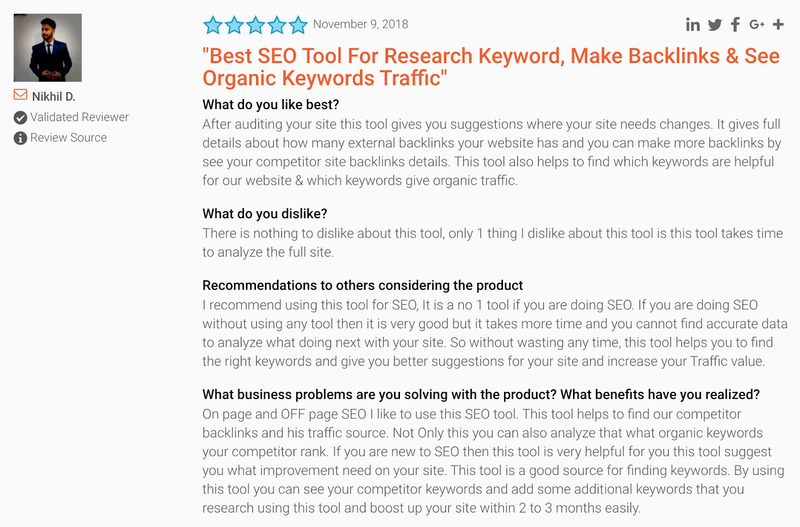 There many free SEO tools. We show plenty of them here. Pick one or a few and kickstart your SEO process. What’s the 2nd largest search engine in the world? If you guessed YouTube, you’re right! Google Images is more popular than YouTube. However, in my eyes, Google Images falls under the umbrella of Google, which is, of course, the most popular search engine. All of us know YouTube. It’s a cultural phenomenon. It has changed our lives. In the past, we had to scramble for DVDs to watch. Now, millions of videos are just a click away. Yet, the funny thing is: even though YouTube has been around since 2005, marketers still discuss video marketing as if it’s new. It’s described here as a marketing trend to follow in 2019. Despite having one billion users, YouTube is still pretty neglected for businesses. 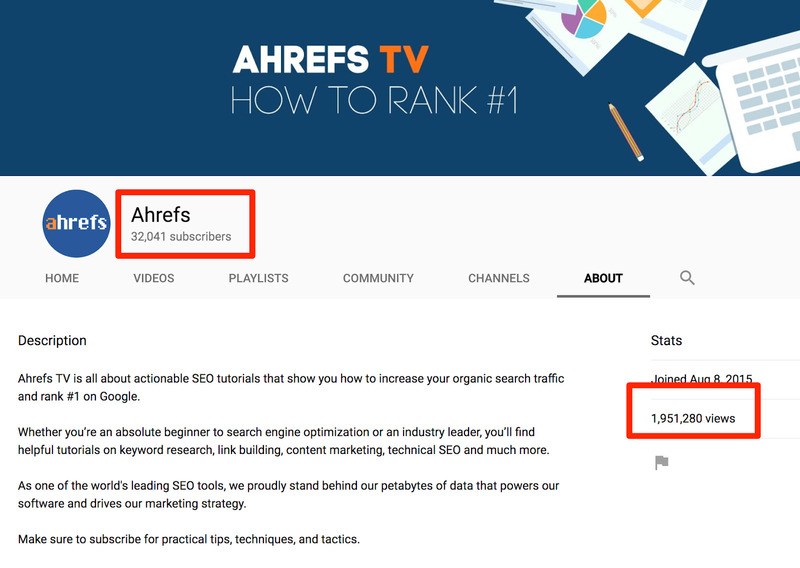 At Ahrefs, YouTube is also one of the main ways people discover us. As of today, we’ve accumulated 32,000 subscribers and received ~2 million views on our YouTube channel. The process for YouTube is the same as Google. We do keyword research to determine what we should create, then produce high‐quality, actionable videos to rank on YouTube. The result? One of our keyword‐focussed videos has racked up 40K+ views in ~5 months! In 2019, we’ll add YouTube search volumes and metrics to our Keywords Explorer tool. For now, here are the top 100 most searched queries on YouTube. Google is great. For almost any question in the world, Google has the answer. But what if you have a question and you need a personalized, nuanced answer? What if it’s a question without a definite answer, and you just want to talk about it? Online communities (Reddit, Facebook groups, Slack communities, etc.) are places where people with a common interest gather. 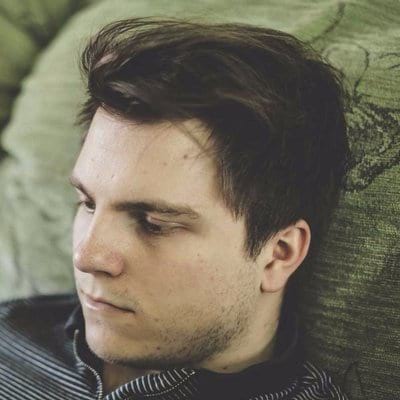 Here, they discuss relevant topics, ask questions, share problems, banter and make friends. And, there is a community for every imaginable topic out there. There’s no better place to be if you want to reach your target audience. Some of these sites receive millions of visitors a month, which you can drive to your website. Read the rules and follow them. Every community has its own rules. Find out what they are and observe them. Flouting the rules will get you kicked out, or worse, banned. Add value. No one likes a community member that only pitches and hard sells. Participate and contribute. People are more likely to trust what you’re saying when you prove yourself to be a valuable member of the group. Once the group sees you as a valuable member, you can start to promote your brand, product or service gently. Some people in your industry will have already built a large audience of loyal readers, listened and viewers. By working with these ‘influencers,’ you can expose your brand, product or message to an entirely new group of people. 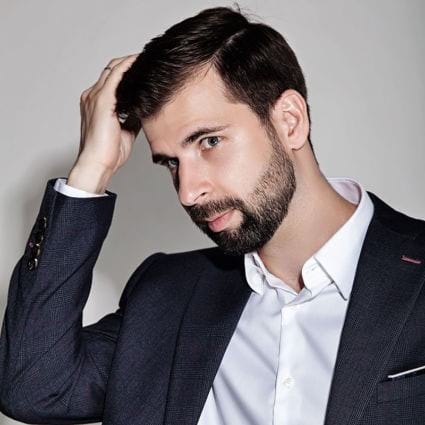 Think about it: influencers have built an audience from valuable content. Creating valuable content is difficult. If you can convince influencers that you can provide great content, they will be more than happy to introduce you to their audience. Podcast appearances aren’t the only way forward. You can appear on a webinar, present at a conference, be a guest editor on an email newsletter, or guest blog. How you wish to partner with influencers is up to you. Either way, begin by building a list of influencers you wish to collaborate with and finding their email addresses. Next, send a personalized outreach email to find out if they would be willing to work with you. Show them what’s in it for them and your chances of success will skyrocket. The second stage of the funnel is interest. At this stage, your potential customers are “hooked.” They’ve consumed your content, and now they want to find out more. They want to dig deeper into the subject. Looking for experts and influencers to follow. 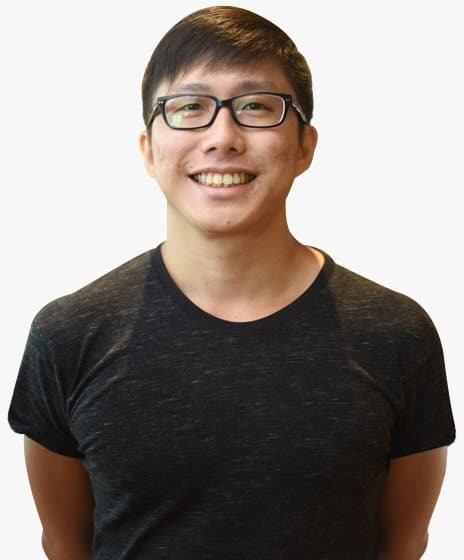 For example, they may look for the “best SEO blogs” or “best SEO podcasts” to quickly get up‐to‐speed on what is happening in the world of search. Be the expert they want to follow and learn more from. To summarise, you want to gently nudge them into the next stage by showing how your product or service can solve their problem. In the earlier stage, your customers have a problem. This problem is broader and less defined. For example, if they’re running a business, they’re not looking for SEO. Their problem is “not enough traffic.” So, they’re looking for tips on how to improve that. They’re searching for marketing ideas or digital marketing tips. But, once they’re past the Awareness stage (after reading plenty of content from us or others), they begin to think differently. They know they want organic traffic, and they know the way to get it is SEO. They start making more specific searches. They begin looking for terms like “how to get backlinks” or “how to do keyword research”. Instead of random marketing ideas, they want specific SEO tips. For us, these are terms with high business potential. Not only are they relevant to our business, but they are also problems our product solves. Our goal is to rank for them. Remember: at this stage, your job is to nudge them to the next phase—gently. Yes, you should teach them how to solve the problem. But you should also show them how they can use your product or service to solve their problem. Think about it. The only thing they care about is the result—whether the problem is fixed. And if your product truly helps in solving that issue, you’ll do them a disservice by not mentioning it. So, while teaching them how to solve their problem, demonstrate how much easier your product makes it. This is what we do here at Ahrefs. Here’s an example. We have a tool called Site Audit. Site Audit crawls, analyzes, and monitors your website for over a hundred on‐site technical SEO issues. 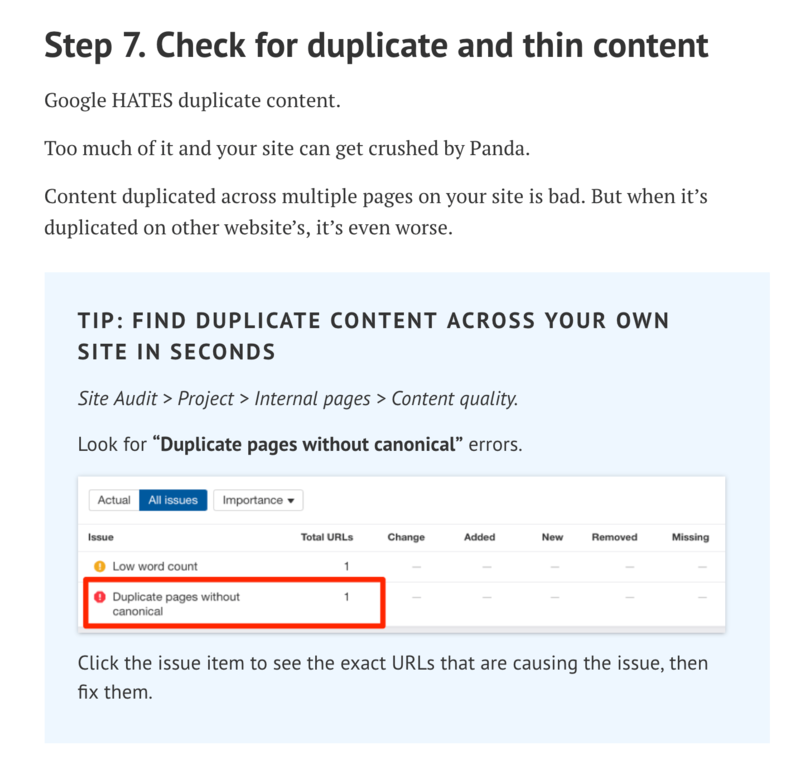 We share tips on how to do an SEO audit, and how much easier Site Audit makes it. “My theory is that people don’t sign up for your [product] and then learn how to use it. It’s the opposite, in fact. They first learn how to use your [product], and they sign up because they already know how to use it. They’ve consumed your content. They think it’s valuable. They have benefited from it. Great job! But it’s not over. They may be your fans, but they’re not customers… yet. Perhaps they have some objections about your product that you did not manage to address. Maybe they still don’t understand how to use your product properly. Whatever the reason, your job at this stage is to get them to follow you. This gives you more opportunity for you to address some of their objections. Where should they follow you? This is entirely dependent on your industry. If your niche is more social media‐focused, you might want them to follow you on Twitter or Instagram. If you are producing content on YouTube, then you might want them to subscribe to your channel, If you’re blogging, then you might want them to sign up for your email list. Whichever channel you use, put up call‐to‐actions that remind them to like, subscribe, follow or sign up. At Ahrefs, we offer multiple touchpoints for them to follow us. Some of them sign up for our email newsletter. Some subscribe to our YouTube channel. A number of them are part of our Ahrefs Insider Facebook group. Some of them follow us on Twitter, and a few of our fans also follow Tim on Twitter! These touchpoints allow us to communicate with our fans and find out what they need or want. It also gives us opportunities to move them along the funnel, and closer towards a sale. The third stage of the funnel is consideration. At this stage, your prospects know the problem. They know the solution. And they know you can provide that solution for them. Just because they know what you can do and how you can help them doesn’t mean they will choose you. Chances are: there are plenty of possible solutions for them to choose from. They will look at alternatives. This is especially true if it’s a big ticket item. Think about it: knowing everything about the iPhone does not necessarily mean you will choose it over the Google Pixel 3 or Samsung S9. So your job here is to convince them you are the right person, product or company for the job. You’ve given them tips on how to solve their problem. You even showed them how they could do it with the use of your product. But, are you the only product or service that can provide this value? If your answer is yes, then congratulations! You have a unique selling proposition (USP). But chances are that you’re not the only product or service they could go for. So you need to help your prospects discover why you are the one. At Ahrefs, the thing we’re proudest of is our big data. Our tools are powered by it. It’s what makes our product so unique. So, we show it off. We use our data to run SEO research studies, like this article about how 91% of content gets zero search traffic. This helps to cement the idea that we have a vast database (and indeed we do). Our blog post about our SEO metrics is a way to show the accuracy of our data and metrics. 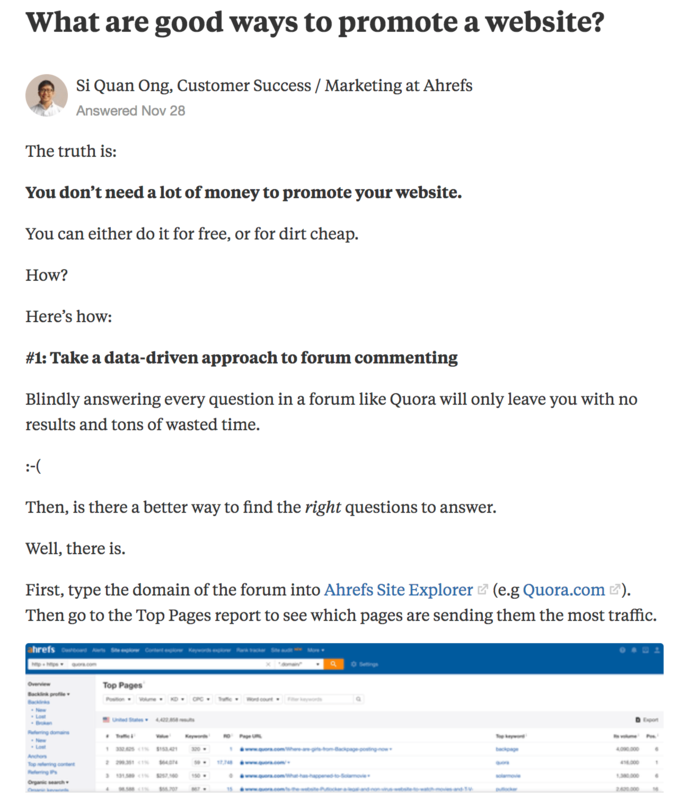 On top of that, our users regularly produce ultra‐detailed, in‐depth articles (like this and this) on how to use Ahrefs and why we are the best tool for the job. These unbiased customer testimonials are most effective at convincing prospects to buy. Imagine you’re about to purchase a new phone. Barring any brand loyalty, what would you do? You would compare products. You would read reviews. You would head over to Google and enter terms like “iPhone XR vs Samsung S9” and check out what other people have to say. Alternatively, if you’re at a loss, you might look for “best smartphones 2018” and see the latest recommendations. Your customers will do the same too. And while we don’t do comparison articles (as a matter of principle), we do produce blog posts that talk about our unique features. This helps demonstrate why we are different from the competition. They’re following you. But they’re still not buying. How then can you continue nudging them into a sale? Consider creating a nurture sequence. Typically email‐based, a nurture sequence is a series specifically designed to explain why you’re different, why they should buy from you and gear them up to make a purchase. Simply put: it is the overarching message or story you’re trying to communicate. For example, the Fellowship of the Ring is really about Frodo overcoming all odds to destroy the One Ring. Similarly, your sequence needs to have a “north star”—a guiding narrative. This choice of narrative is up to you. With the narrative, you can create each element of the sequence. This will usually be separate emails. While creating the email sequence, make sure that each email flows logically from one to the other. Compare your products/services to those of your competitors. While emails are the most common method, it need not be the only method. If you’re a services business, you could give away a free consultation call. If it’s a complicated product, you could get them to join you on a webinar. At Ahrefs, we don’t have an email sequence. Instead, we have Blogging for Business. Blogging for Business is an online course that teaches you how to get more search traffic and customers. The good thing is: you can walk away from the course with tons of valuable insights without ever using Ahrefs. But you’ll see how much easier the strategies become with our tools. The fourth stage of the funnel is conversion. Your prospects are almost convinced you are the right solution for their problem. All you have to do is to give them a final ‘nudge’—a compelling reason for them to click “buy” right now. 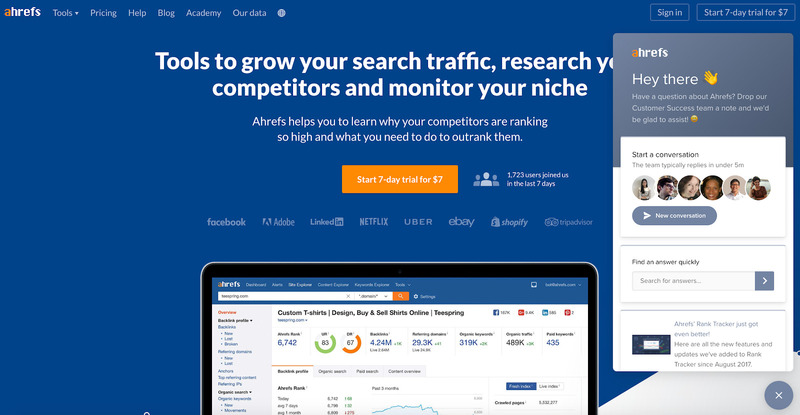 At Ahrefs, we make this a no‐brainer by offering a 7‐day trial for only $7. With just a small investment, prospects can test all the features we’ve mentioned in our tutorials. If the buying experience is pleasant, your prospects will happily make the purchase. The Conversion stage is also a good point to include some upsells. Essentially, upselling is selling your customers add‐ons to the products they’re already buying. When you purchase a MacBook from the Apple Store, and they ask you if you want AppleCare. That’s an upsell. When you buy a meal at McDonald’s, and they ask if you want to upsize your meal, that’s an upsell. To be transparent, upselling is not a strategy we pursue at Ahrefs. So, if you’d like to learn more about upselling and how to include it ethically, here’s a great guide on that. All marketing funnels are leaky. It’s their nature. It is how the funnel‐shaped is formed. Some people aren’t interested. Some people will never buy. Therefore, a certain level of ‘leakage’ is normal. What you should be worried about is “excessive leakage.” Excessive leakage occurs when one stage of the funnel (e.g., Awareness) is much larger than the next stage (e.g., Interest). You’re already off to a good start. Having a funnel makes it easier to diagnose where the excessive leaks are happening. As you are building your funnel, you should assign some metrics to each stage. Conversion: Number of people purchasing their products. You can compare these metrics month‐on‐month. If you notice a sharp decline in numbers, it means you have a problem. From there, you can fix it. Imagine you’ve just sent a bunch of paid traffic to your post about “how to wash tennis shoes”. To your horror, these people merely read the article and left. They didn’t buy anything, and they didn’t opt‐in to download your free eBook “9 Tips for Sparkly Clean Tennis Shoes”. Well, it looks like the only thing you’re washing is $1,000… right down the drain! But what if I said you had another chance to convert these people? That’s precisely what retargeting does. Retargeting is a form of online advertising that allows you to target visitors who have left your website. This gives you the opportunity to persuade visitors to come back and reconsider a purchase. Acquiring the pixel is easy. Most major ad platforms (Facebook, Google, Quora, etc.) 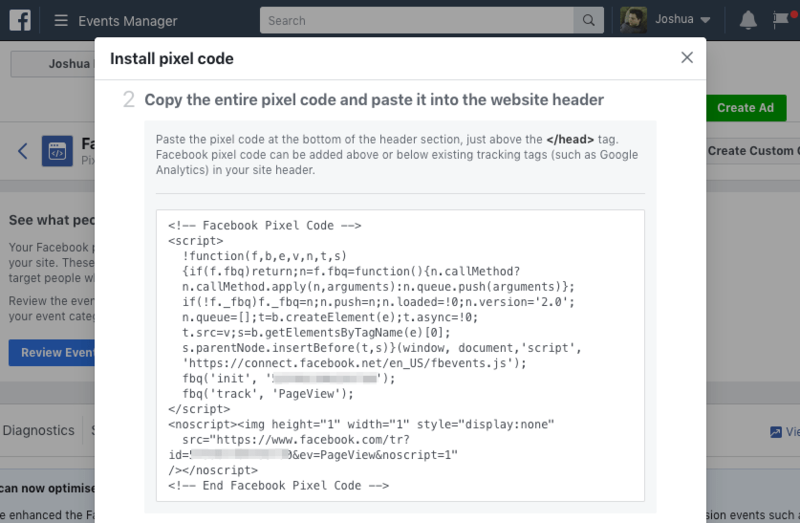 allow you to generate a pixel that you can add to the <header> section of your website. However, knowing what to offer as part of the retargeting is the challenging part. Fortunately, with the marketing funnel, that is also easy to fix. Know where your customers are dropping off, and retarget them with an offer based on the next stage of your funnel. For example, if you see a lot of traffic on your website, but no one is converting to your email list, you can remarket them with an offer to join your list. Send them to a landing page where they can download your free eBook since they missed out on it the first time! Once you’re familiar with marketing funnels and retargeting, you can also set up retargeting campaigns at every stage of the funnel with a relevant offer for the next stage. Sometimes, people leave because they can’t find an answer to their question. They could be reading your content and want clarifications on certain sections. Or, they could be checking out your pricing page and have a few questions on the buying process. If they can’t find an answer to these queries, they will leave in search of a different solution. Live chat solves all of the above issues. It doesn’t matter where the prospect is in your marketing funnel. Live chat allows you to answer any burning queries, while gently guiding them to the next stage. With tools like Intercom (which we use at Ahrefs), you can also segment them accordingly and send them an automated message encouraging them to move to the next step! I hope this article has clearly explained what marketing funnels are and how they work. If you don’t have a marketing funnel yet, it’s time to start building one. Begin with baby steps and focus on making a simple funnel, fixing issues and identifying opportunities for growth. After that, you can look at expanding beyond the traditional funnel with more stages, like Retention and Advocacy. For example, you might decide to create a wonderful onboarding experience or a customers‐only community that encourages discussion and offers help when needed. Remember: it’s not just about acquiring new customers. You want to encourage them to be loyal and refer all their friends too.